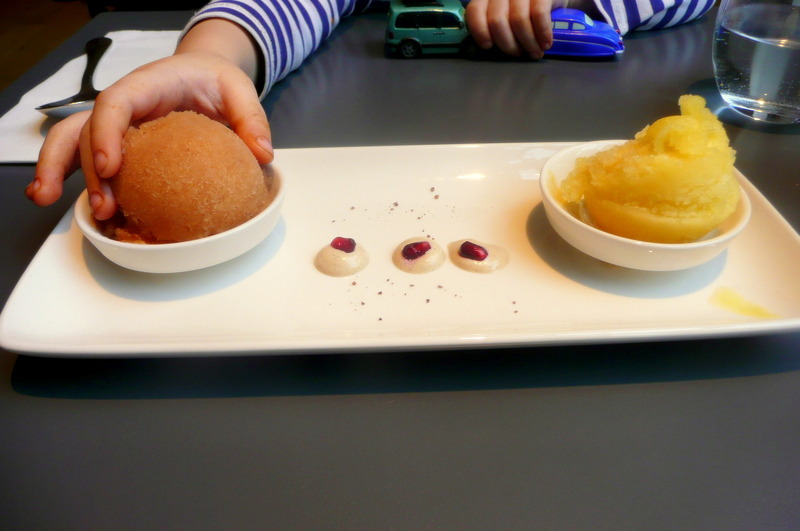 Took my 3-year-old for lunch at Saf in Whole Foods Kensington today. I wish I had the budget to eat here every day. The only problem is my eyes are bigger than my stomach and I always end up ordering far more than I can eat. Saf (simple authentic food) specialises in food cooked below 48°, excellent for preserving nutrients and enzymes. 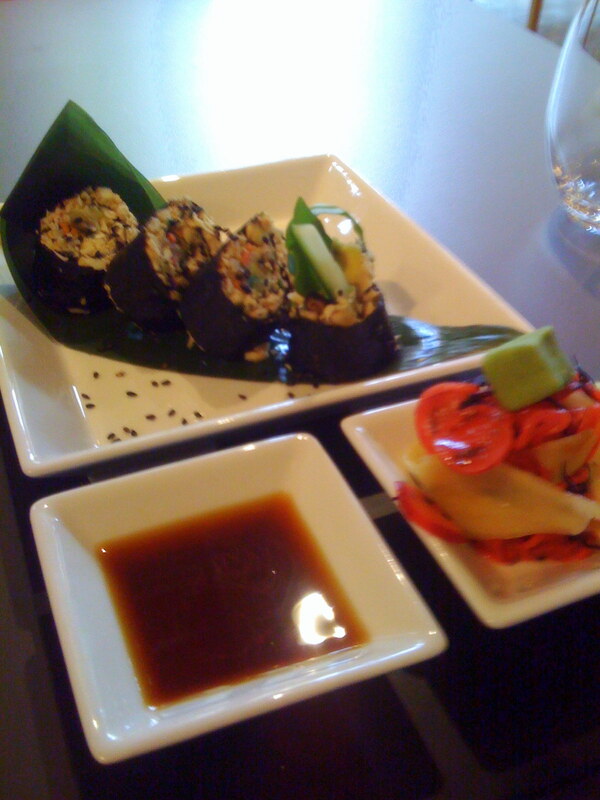 But it’s not only about raw food they also have a lot of cooked dishes. 100% botanical (sounds so much more glamorous than vegetarian) no dairy, refined or processed food. Even the tap water is ionised for pete’s sake!! 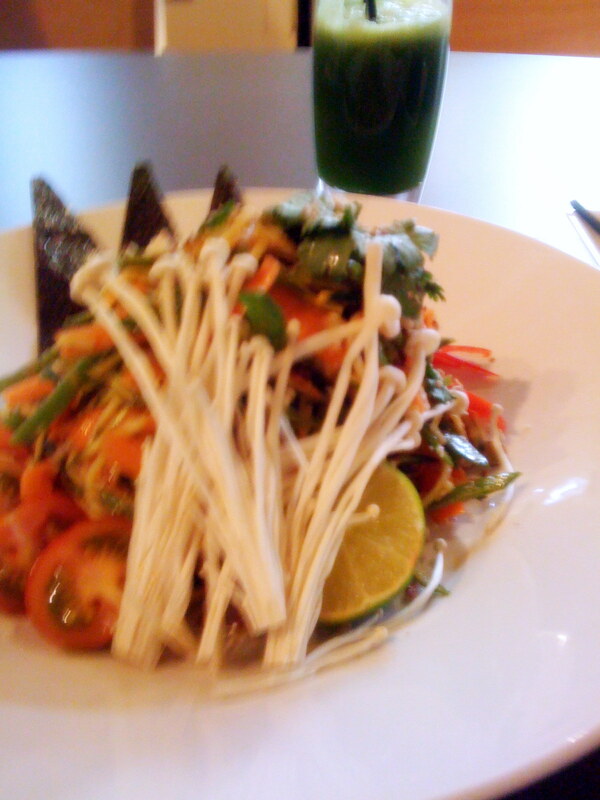 This is über healthy gourmet food right up my street. 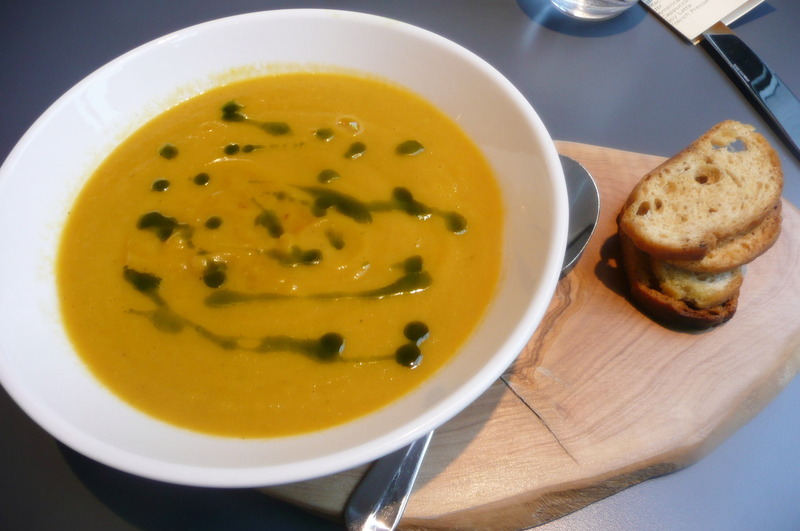 I had a warming fennel soup for starter (just the soup would have been enough for lunch but I was greedy. 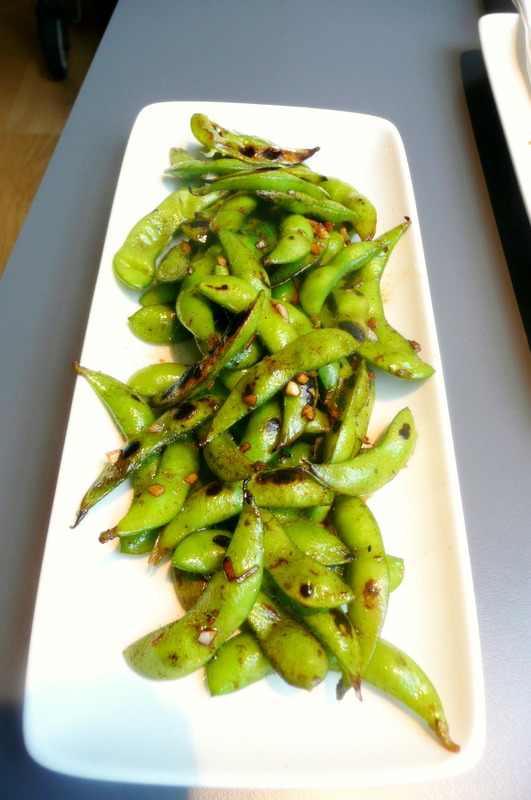 Mini man had the best edamame beans ever. 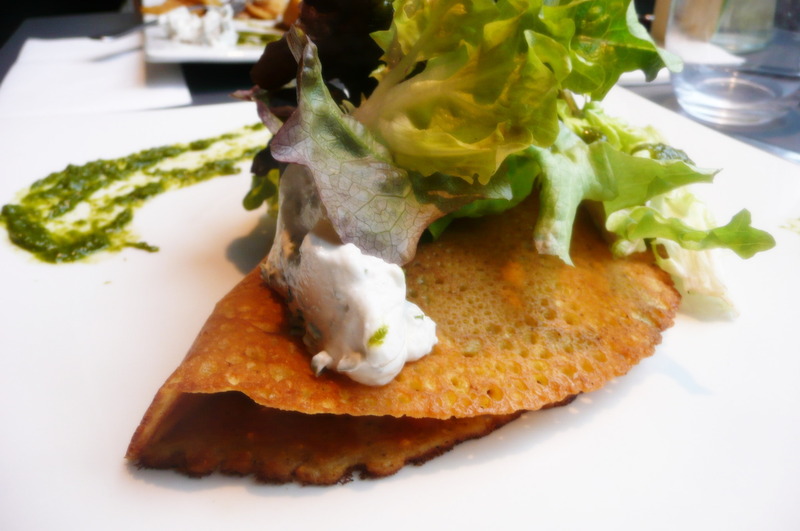 We also had Mushroom Farinata, a chickpea crepe filled with vegetables. 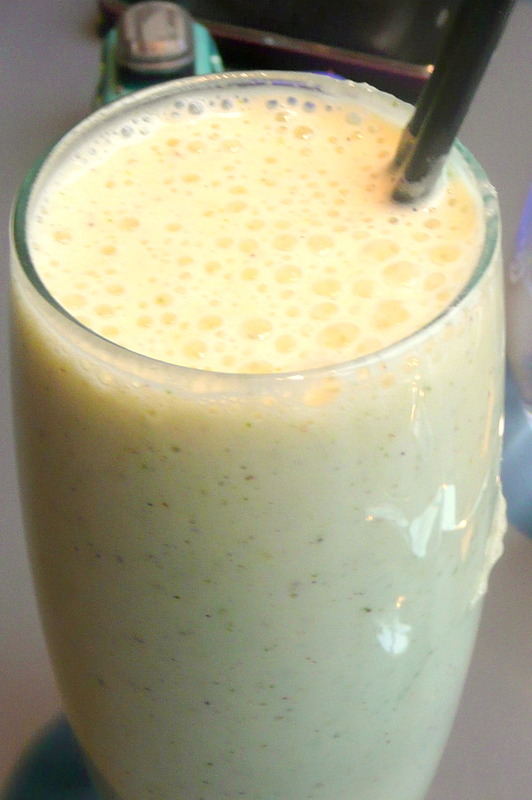 We drank Almond Smoothie and a Saf’s Supergreen. Pudding was the most delicious pear and pineapple sorbet and the little dots in the middle are their special cream made of cashew nuts. You find Saf in Kensington (Whole Foods) Shoreditch and in Istanbul.